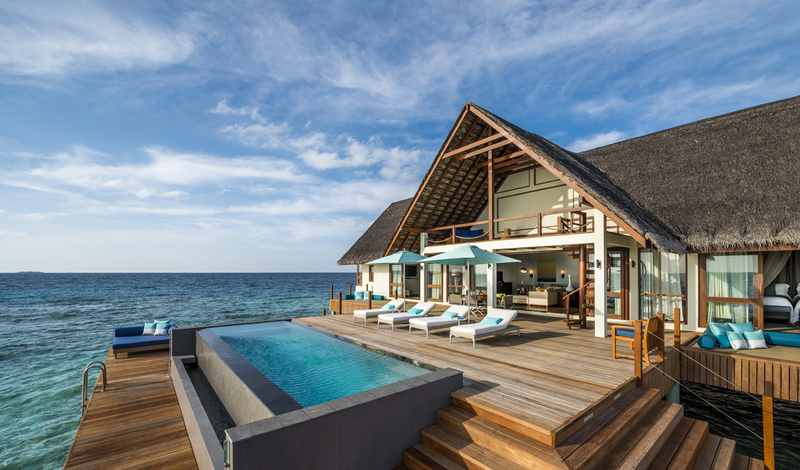 A collection of spacious villas spread over the jungle wilderness form this stunning Maldives resort. The private lodgings are coupled with four restaurants and five lounges for a little bustle in this tranquil setting. Home to the only Olympic-size pool in the Maldives, Landaa Giraavaru also plays host to a world-class spa with ten vast open-air treatment pavilions nestled in either lush tropical gardens or on stilts over the turquoise lagoon. It’s also home to endless adventure and world-class dining, all just waiting to be discovered. The private island resort lies in the Baa Atoll, the only UNESCO World Biosphere Reserve in the Indian Ocean, ringed by talcum white sand and gin-clear waters. Far-flung and unspoiled, access to the exquisite Landaa Giraavaru island is by thirty-minute seaplane flight from the Malé International Airport, giving you a spectacular view of the crystalline waters and nearby picturesque islands. How you want to live in this tropical bliss is up to you. Rooms are scattered along the beach or perched on stilts over the azure waters, all with direct access to the sea. All are stunning, but our favourites have to be the Beach Villas, with huge private pools and bi-level outdoor living/dining pavilions. We are all about indulging in tranquil settings and losing track of time lazing by lagoons getting pampered in peaceful spas. But, occasionally, we get a little buzz for something more active and this is where Landaa Giraavaru excels. Every kind of motorised water sport is available including underwater scooters and the amazing team can arrange a variety of activities including a champagne party on a yacht or an overnight sleep-out, sunset fishing, volleyball or even whip your beach bum into shape with a personalised boot-camp. 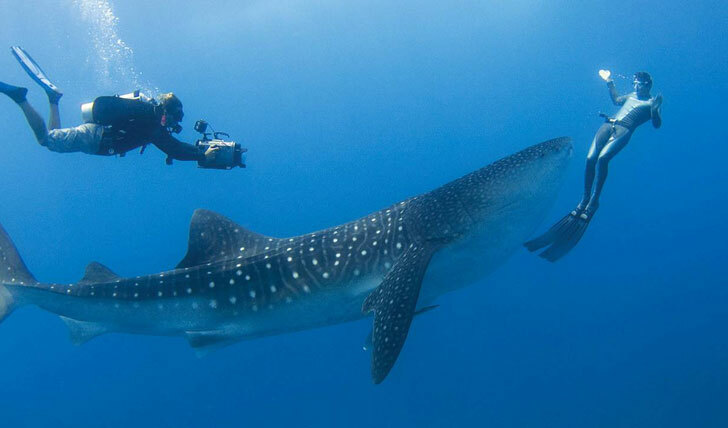 Sign up for the ‘Manta on Call’ programme and you’ll be buzzed on a personal cell phone for diving or snorkelling when the oft-sighted manta rays make an appearance in the vicinity. Kids of all ages are accommodated at the resort, which has clubs and activities tailored to keep young visitors smiling. Children aged four to 12 can join the Kuda Velaa (little turtle) Club and take part in nature walks, hermit crab pursuits, sailing, kayaking, cooking classes, scavenger hunts, tennis, yoga and Dhivehi language lessons– they’ll be sure to sleep well. The program also incorporates many of the Resort’s environmental initiatives encouraging children to build their own coral reef, feed baby clown-fish and visit the turtle rehabilitation centre Teens will enjoy the Majaa Maizan centre for a game of pool, table tennis or foosball. Landaa can also organise diving lessons, personal fitness programs, day and night snorkelling, team sports, water sports and even private beach-side dinners for them and a group of friends.